IT’S exclusive and special. A glorious road going version of the MotoGP bike that legendary racer Valentino Rossi sits aboard. And the 2018 Yamaha YZF-R1M is so special that even Rossi himself assisted in its development. It’s a bike that breaks all the rules in relation to street ready superbikes. 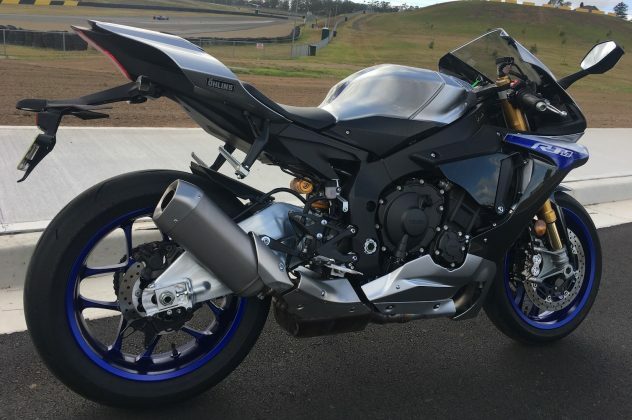 This crazy piece of machinery has higher factory specs than the bike on which it’s based, the YZF-R1, which makes it the perfect track day bike that will, if you let it, probably try to kill you. 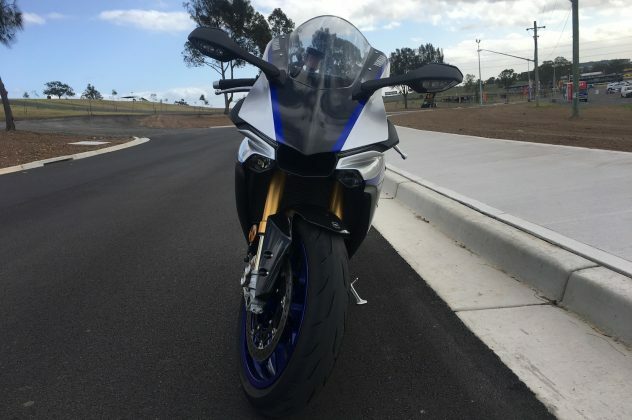 The R1M is nuts, and it’s mean, and while you could try and tame this beast, in all honesty, would you really want to? It’s possibly the most fun you can have with your clothes on, and a worthy rival to any other superbike on the road. The reason for all this fun? The unbridled power from the 998cc liquid cooled parallel 4 cylinder that puts out, wait for it, wait for it, 200bhp. Yep that’s right, its 200bhp, and you can feel every one of those horses whilst riding a bike that weighs just 199kg. Pretty impressive. It’s thanks to use of titanium, magnesium and carbon fibre in the construction process, that keeps the weight down and provides a power to weight ratio that is next level ridiculous. Despite all that raw power, the YZF-R1M can be surprisingly easy to ride IF you treat it with respect and, let’s face it, a certain level of fear. With that in mind, this is could be one of the most powerful, fun and capable bikes we have tested so far. Everywhere it went there was fan-boy hysterics about how exceptional it is and questions about the tech, the ride quality, and you guessed it, the power as well. It gave us the chance to talk about the not one, two or three, but actually four ride modes. That’s right, there are four riding modes. Mode A is only suitable for those track and race days, while Mode B offers softer track riding or super sports functionality. Mode C delivers for normal street riding, and Mode D is for touring or rain riding. Any can be chosen on the fly using the Mode button on the grip. This can also help you to become a better rider by building confidence in your bike and abilities. There’s plenty of technology to help with that too. In case that’s not enough though, the user manual for this bike is 128 pages and we would suggest that you read it – A LOT. A bike like this one deserves to be understood and respected to get the most out of it, all the time. Some more tech fun can be found in the six axis Inertial Measurement Unit (IMU), which offers control over traction, slides, front wheel lift, braking and launches. What this means is that you can give it a bit and not lose control, keeping both wheels on the road. 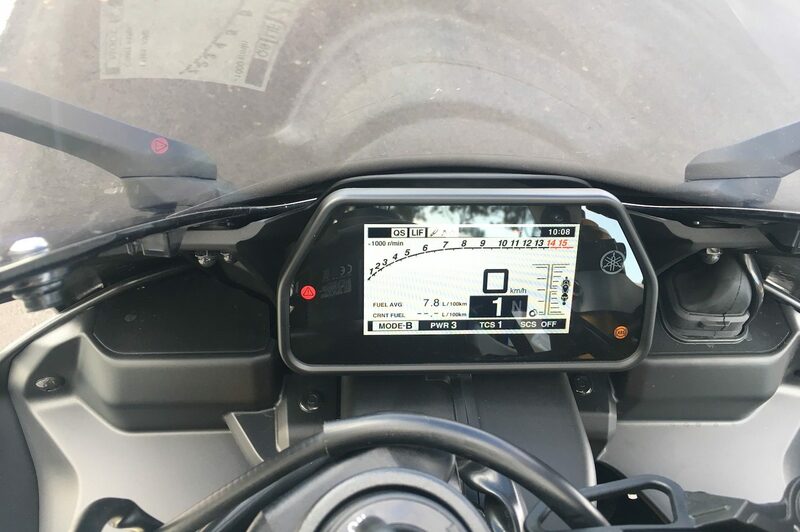 The Communication Control Unit works with your GPS to let you access lap times and other running data on an Android-based tablet. Again, something that will give the average track day added value and enables rider improvement. How good is that? 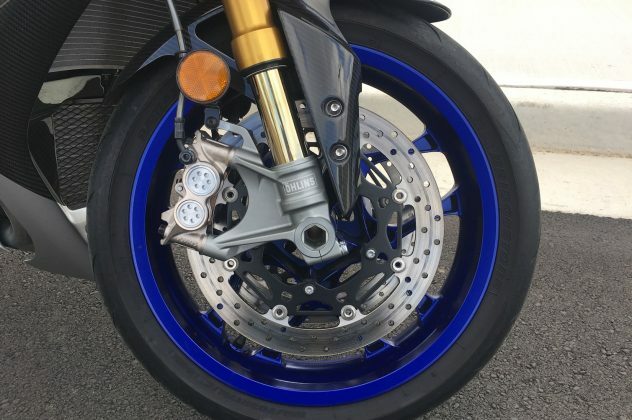 This model is also equipped with OHLINS electronic racing suspension, meaning the compression and rebound damping forces are electronically adjusted, delivering ultimate handling. It corners like a boss and really keeps you in control. The 4.2-inch colour LCD display gives you more information than you can take in all at once. You can have it in street mode for riding on public streets with all the relevant information you need. There’s also track mode for the info you need at track or race days. It’s as amazing as the rest of the bike and feels like it just fits. 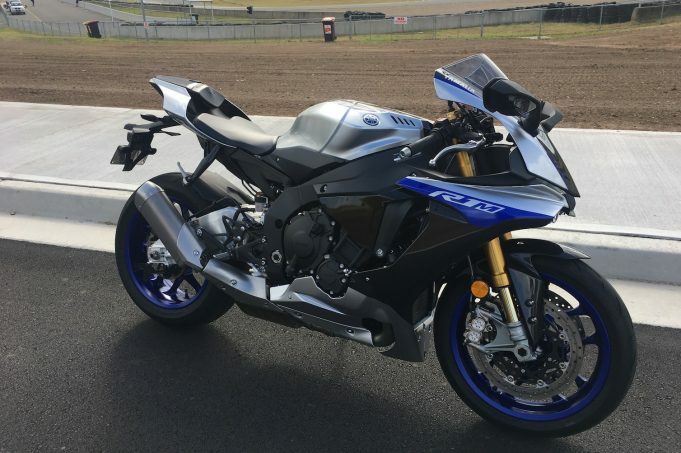 Let’s just say it’s a brilliant bit of kit that has been thoughtfully put together to provide the rider with a real superbike experience. Its beautifully crafted and looks like its flying while just sitting there doing nothing. 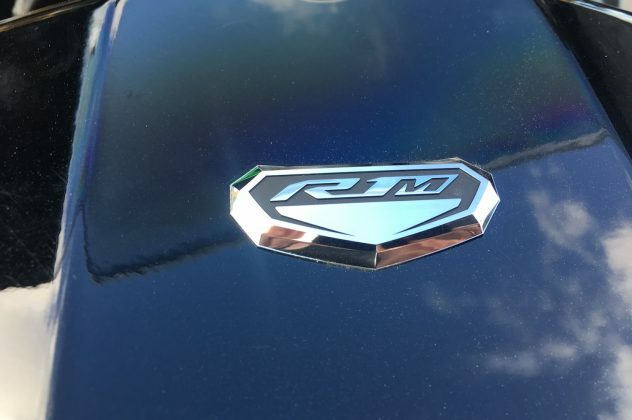 It only comes in one colour, Matte Silver and Blue, and at the end of the day it suits the bike, giving it a presence that screams confidence and speed. It’s hot and we reckon it rivals some of the more traditionally beautiful bikes out there that some, us included, have called art. To own one will cost you $31,999 plus on-roads, but it will not disappoint. Our 2018 Yamaha YZF-R1M was provided by Yamaha Motor Australia. To find out more, contact your local Yamaha Motor Australia dealer. Pros - power; technology; smooth gear changes; handling. Cons - hard seat; riding position harsh for touring.